Maintenance: The frequency in which you clean your natural stone floors will directly correlate to how long your polish will last. If you were to clean your floors once daily, the polish will last much longer than someone who only cleans their floors once a week. 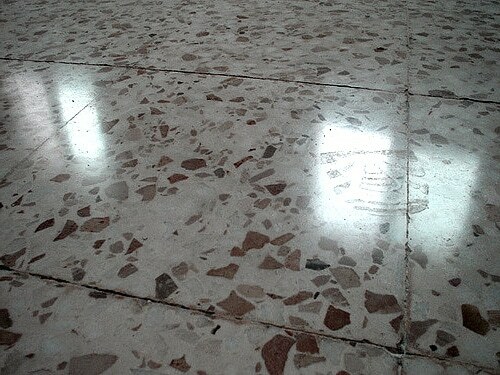 This is because dirt and sand are damaging to the reflective shine you get from polished floors because they act like sandpaper, exfoliating the shine away. Cleaning Products: Natural stone flooring has many vulnerabilities and it is important to use a product that is not abrasive to your stone. This is why we recommend using our in-house formula of natural stone cleaning products, which you can find right here. Do not let your natural stone suffer damage, instead get the most out of your polishing and seal with the help of Modern Stone Care today! Method of Cleaning: Using specialized natural stone cleaning equipment such as microfiber mops and soft scrubbers goes a long way when it comes to getting the most out of the polish on your natural stone flooring. Traffic: How much foot traffic you have on your natural stone floors will have an affect on the lifespan of your polish. If you have children or pets that run, or track in dirt and other grime your polish will not have as long as a lifespan and will need to be polished sooner than those who do not.